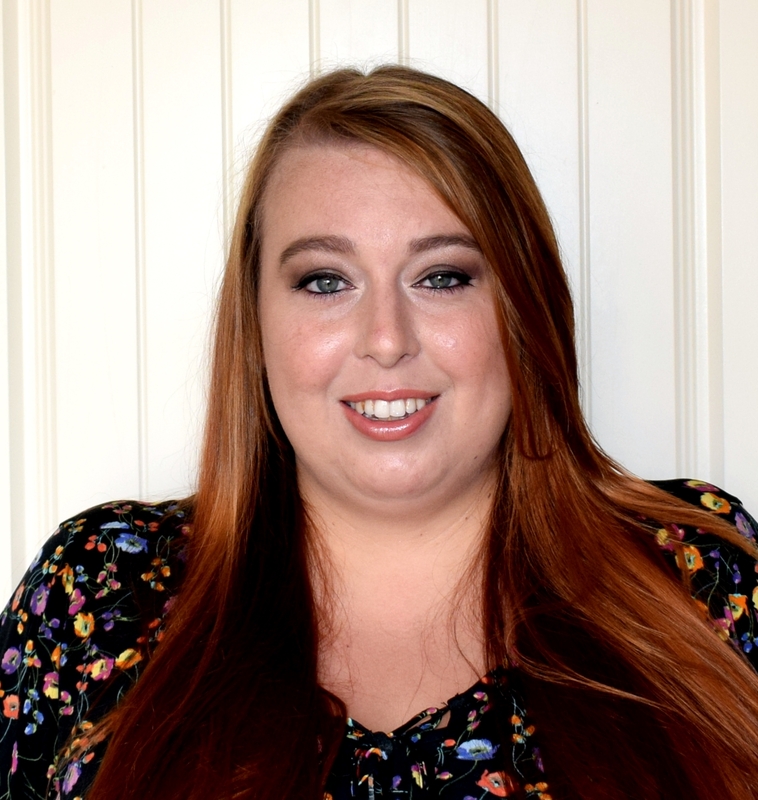 July Degustabox **REVIEW** and Discount code! You may have noticed for the last couple of months we have been receiving a monthly Degustabox. This months box was just as eagerly awaited for as we couldn't wait to see what was inside! 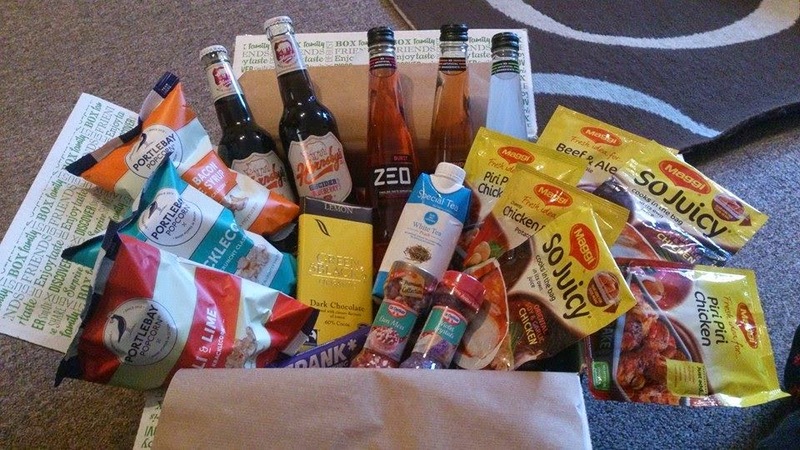 This months box was a little different as this month you could opt in or out of alcohol in your box (there was an alcohol free substitute product in the box if you opted out). This isn't something Degustabox will be doing all the time but I thought this was a nice touch as often monthly subscription boxes come pretty much set in stone with regards to their contents. If you opted in to alcohol for your box you would have received these.. 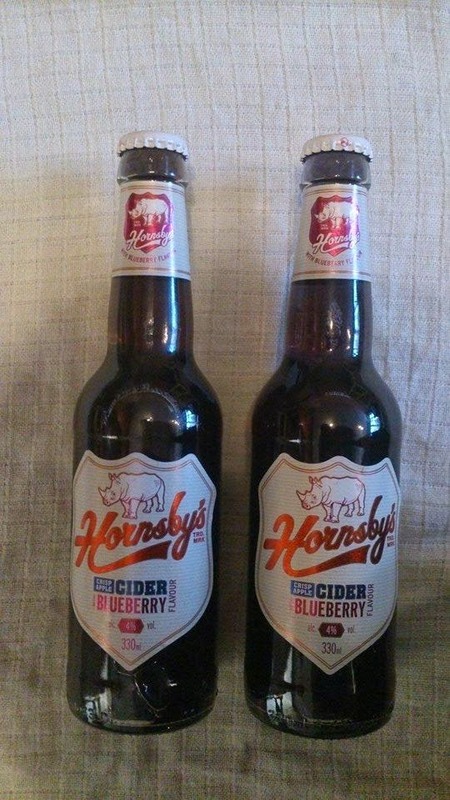 I've never tried blueberry cider before and wasn't sure before I tried it, However it was really delicious it had a subtle fruity flavour. You can pop a twist of lemon peel in for a zesty taste! 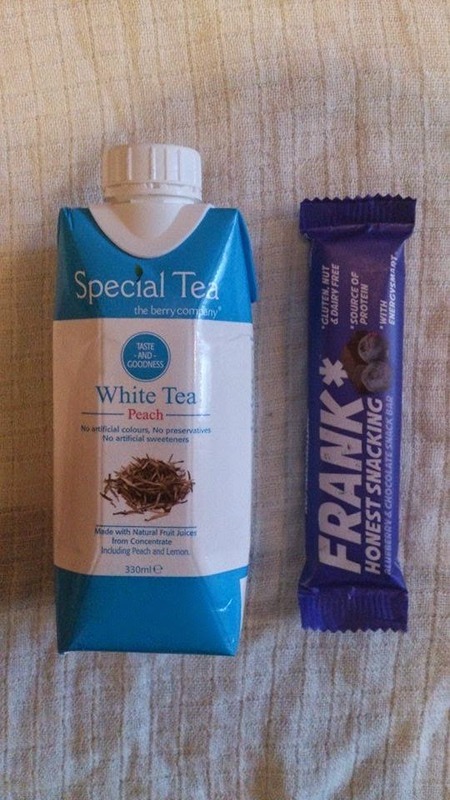 A Frank snack bar and The Berry Company flavoured fruit tea. The Frank snack bar was delicious! They are made with 100% natural ingredients and would make a great item to pop into your bag for an on the go snack. They come in 5 flavours Orange, Blueberry, Strawberry, Oat and Double Chocolate. 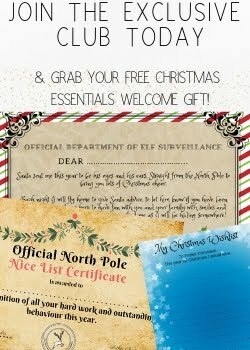 They are also free from gluten, nuts, dairy and refined sugars and are suitable for vegans! I wasnt a huge fan of the tea but them in not a fan of tea or fruity teas anyway so wasn't really surprised by this. I can imagine it would make a lovely refreshing drink in the summer for those who do though. The rest of the products in the box would be the same regardless. 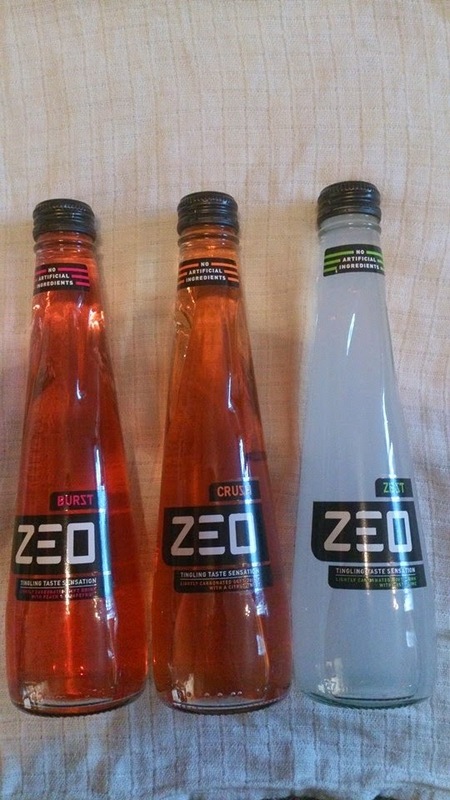 These drinks come in 3 flavours - Peach and grapefruit burst, Citrus crush, Lime zest. These have a real adult soft drink feel to them as them come in a glass bottle with a more grown up range of flavours. My personal favourite was the peach and grapefruit burst which had a fruity, zingy flavour. Popcorn used to be either sweet or salty and if you were really lucky toffee! But not anymore! 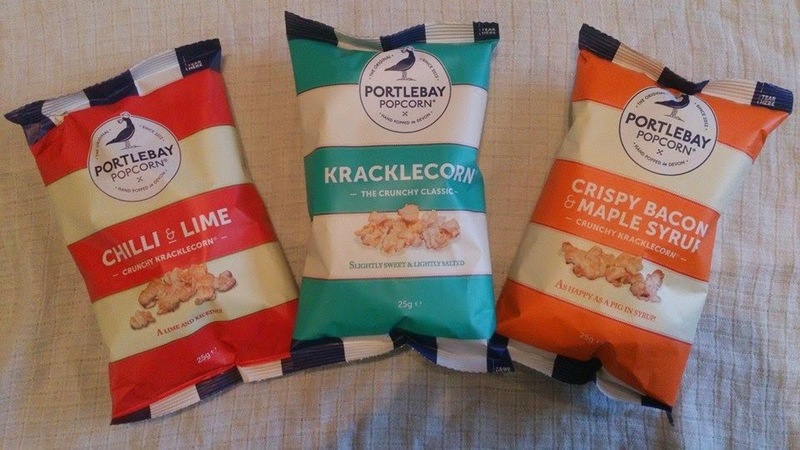 Portlebay offer a range of interesting flavours including the ones we tried in our box which were chilli and lime, crispy bacon and maple syrup and sweet and salty kracklecorn. Green and Blacks Lemon Bar. 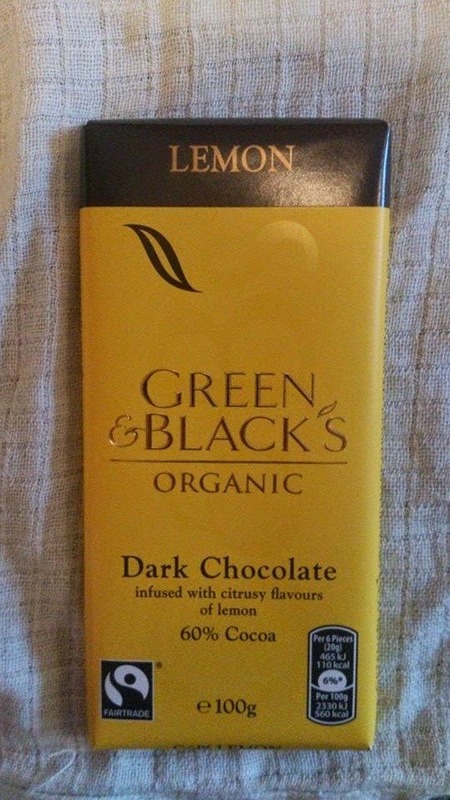 Im always happy to receive chocolate in my Degustabox so seeing this Green and Blacks lemon bar in the box I was very pleased! This 60% dark chocolate bar has a subtle hint of lemon that makes this bar indulgent and tangy all at the same time! Delicious! 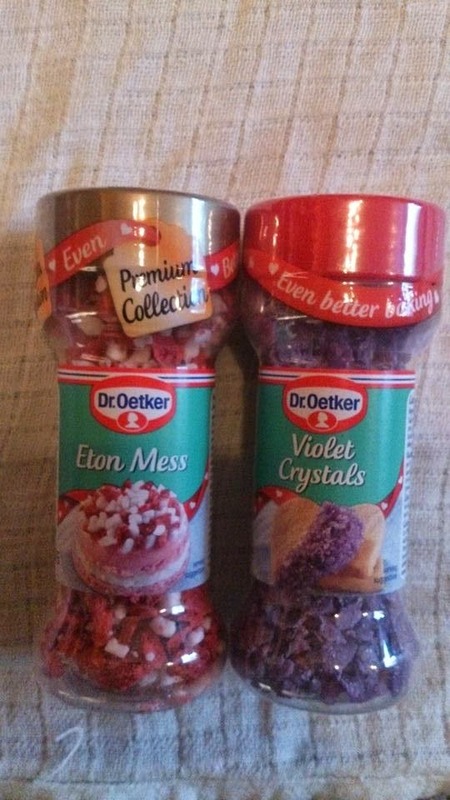 I love Dr. Oetker products and we have received a few different products over our various Degustabox's. James loves baking so these will definitely come in handy for topping cupcakes! The Eton mess flavoured sprinkles also tasted fab sprinkled over Cornish ice cream! Maggi So Juicy/ Baked sachets. I find sachets like these really useful to have in the cupboard for a quick and tasty meal when you are short of time. They can transform a few simple ingredients into a tasty family meal in a few easy steps. 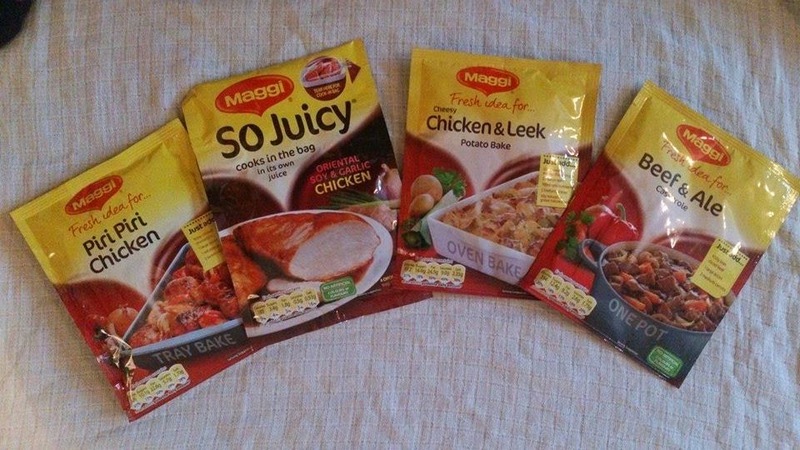 Maggi have such a wide range of sachets that there is something for everyone! Our favourite out of these 4 was the Peri Peri chicken! The chicken came out moist and with a real tasty flavour to it. So that was our Degustabox. Once again we loved our box! I love the fact for a small monthly fee you can get a box full of a tasty range of food and drink products and you get to try brands and products you may have otherwise not tried, And lets not forget the excitement of opening up your box each month to find out whats inside! If you want to try Degustabox then pop on over to their website below to order and if you use the code BJHLL to receive a £3 discount off your box!